The last airworthy Vulcan bomber is touring the UK with a series of flypasts to mark its final year of flight. Vulcans were designed and built at Woodford Aerodrome, in Chester Road, Stockport, for the Royal Air Force. 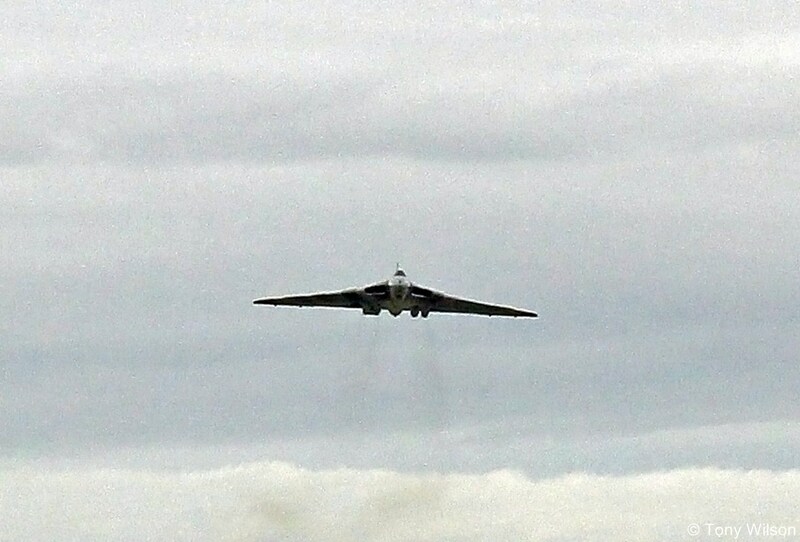 Over the weekend, the XH558 flew over areas where the aircraft are displayed, such as Barton and Woodford. Making its maiden flight in 1952, the Vulcan acted as a deterrent during the Cold War. They were also used in combat during the Falklands War. 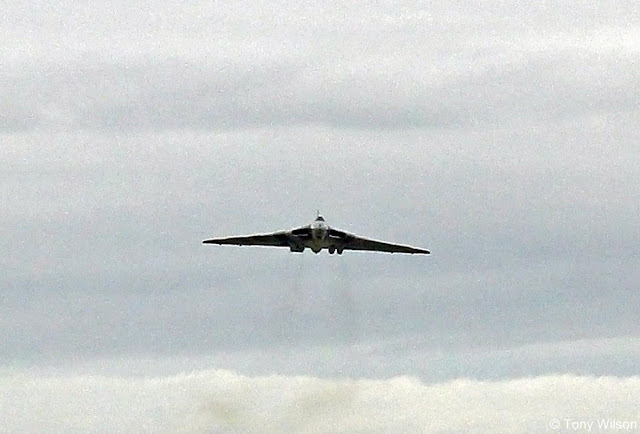 The last remaining model originally arrived at RAF Waddington in 1960 and was the last to leave RAF service in 1993, according to organisers Vulcan to the Sky. Now though, engineering backers, including Rolls-Royce, have withdrawn support and the plane is beyond its flying hours. 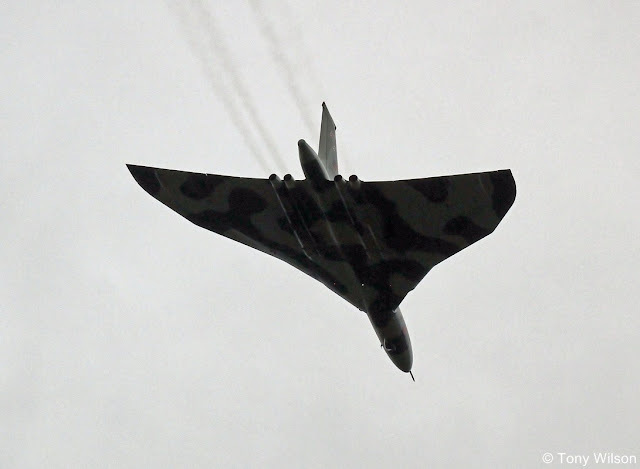 Steve Abbot, who helped to build Vulcans at Woodford said the aircraft had been part of his life. "We did all the fatigue testing here to keep them in the sky and the 558 was born here," he said. 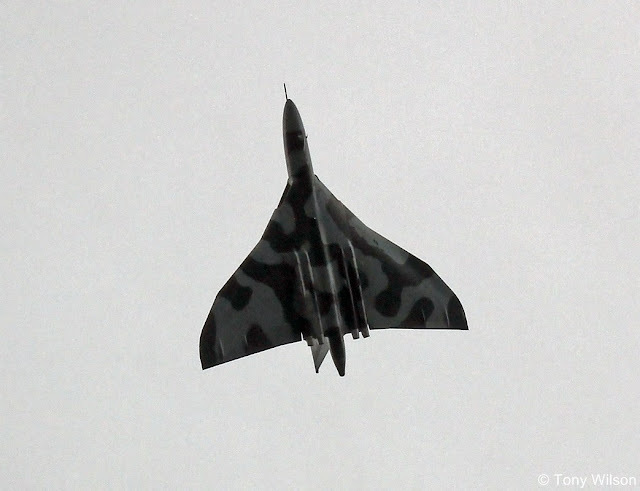 Former Vulcan pilot Tucker Wennell said it was "very emotional" to remember flying them. "They were a bomber that flew like a fighter aircraft, they had tremendous performance," he said. "The rate of climb on take-off was amazing." There are plans to open a Vulcan museum at Woodford later in the year. On Sunday it flew from Doncaster Airport to Bruntingthorpe, Coventry, Wellesbourne, RAF Museum Hendon, Duxford, Southend Airport, Norwich Airport, RAF Marham, RAF Waddington and Cleethorpes.